Visible Image...Dare to be differnet. Ranger Archival Ink... Watering Can and Shadow Grey. Stampin Up Ink... Red Rose. Heart die... Unsure of make. 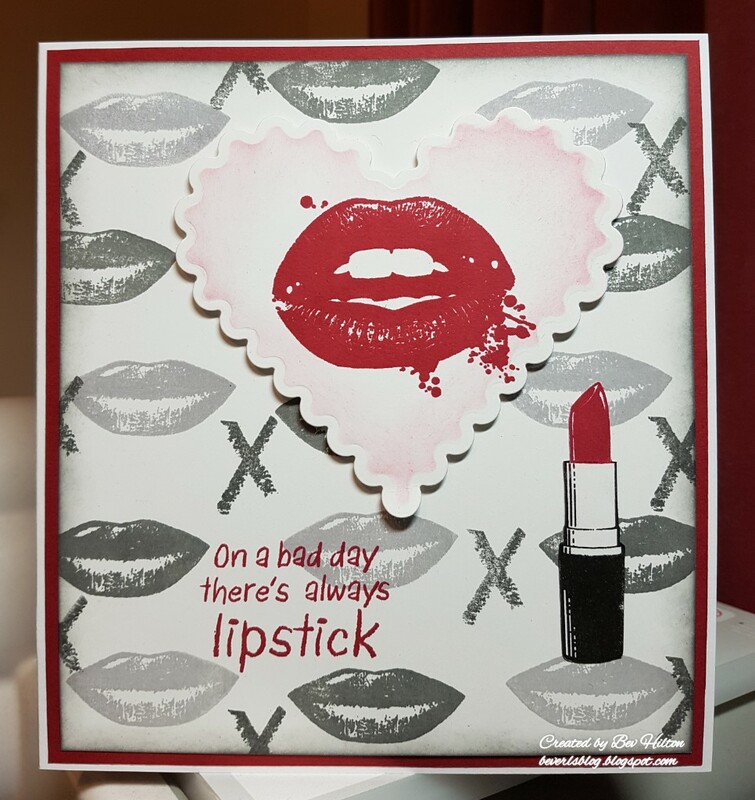 I began with a piece of white card and stamped the lips from Face It all over the card in the two shades of grey. I then took the x from Dare To Be Different and stamped that randomly over the card. Take the Watering can and blend around the edge of the card. 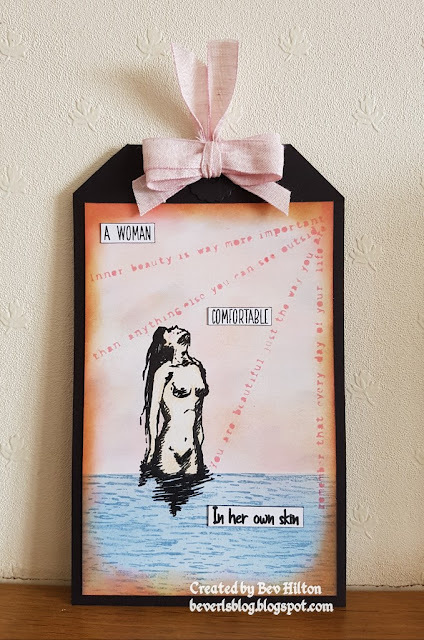 Now happy with the background I stamped the lips from Dare To Be Different on a spare piece of card using the Red Rose Ink. I then used the heart die and ran it through my big shot. Before releasing it from the die, use the same Red Rose ink to blend around the edge of the heart. Stamp the lipstick using black ink, masking off the tip. Mask off the base of the lipstick and then ink up with the Red Rose. Cut out carefully. I wanted the heart raised so used foam pads to lift it, and used wet glue for the lipstick. Now ink up the verse in the same Red Rose and stamp in place. Mount onto a piece of matching red card and then onto a white card base. Hope you like it. All for now. Enjoy the rest of your week.